What To Eat When You Visit New York City: Le Flowchart! / Hey, EEP! 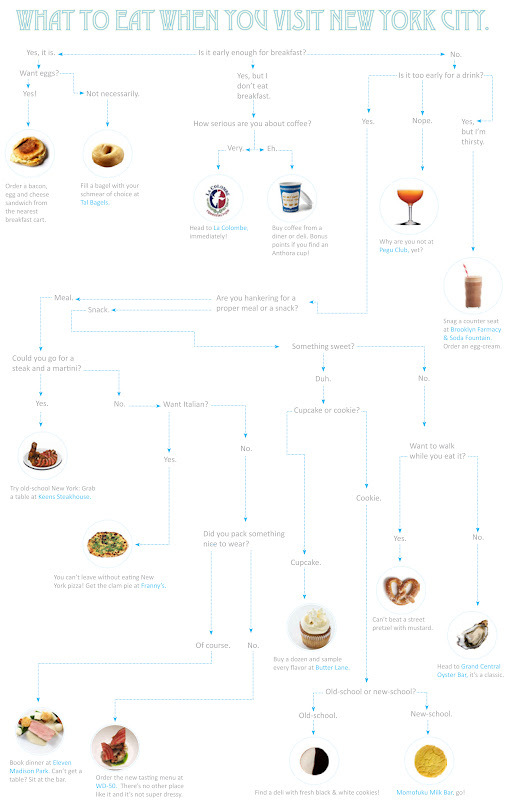 What To Eat When You Visit New York City: Le Flowchart! Whenever someone visits from out of town they ask me: Where should I eat in New York City? It's a terrible question. There are so many factors to consider and so many things to try! So I came up with this comprehensive flowchart to help you, whether you're a New Yorker trying to show visitors a good time or someone whose planned a trip to the Big Apple. Save this image on your phone and consult it periodically.